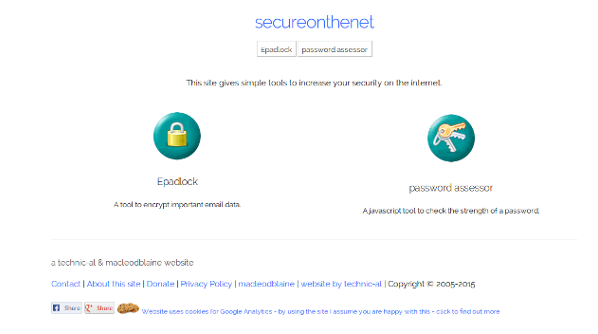 Secureonthenet.com is a website that provides gives simple tools to increase your security on the internet. A tool to encrypt important email data. Do you need to send private data via email but concerned about keeping it private? You need a free Epadlock. Get one here.